August 5, 2015- Memphis, TN- Glankler Brown, PLLC is pleased to announce that R. Hunter Humphreys has been elected to the American College of Real Estate Lawyers. Mr. Humphreys concentrates his practice in the areas of real estate and secured lending. He represents numerous investors, developers, lenders and participants in real estate, secured lending and other business transactions. 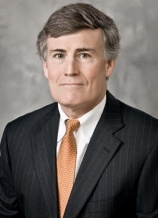 Mr. Humphreys is chairman of Glankler Brown’s real estate section and he is an adjunct professor at the University of Memphis School of Law where he teaches a course on real estate transactions. He has been named to Best Lawyers in America, Chambers USA Leaders in their Fields, SuperLawyers and Business TN magazine’s Top 150 Lawyers in Tennessee. The American College of Real Estate Lawyers (ACREL) is the premier organization of U.S. real estate lawyers. Admission is by invitation only after a rigorous screening process. ACREL’s distinguished, nationally-known lawyers have been elected to fellowship for their outstanding legal ability, experience and high standards of professional and ethical conduct in the practice of real estate law.